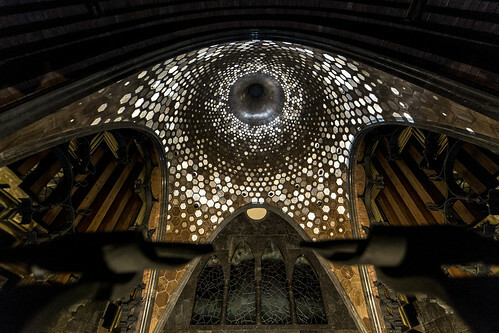 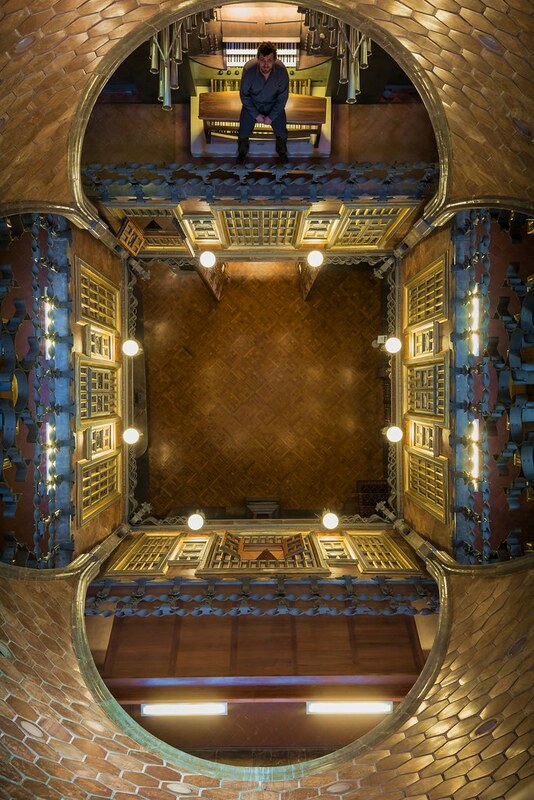 Parabòlic is a semi-permanent installation at Antoni Gaudi´s architecture of the Palau Güell in Barcelona. 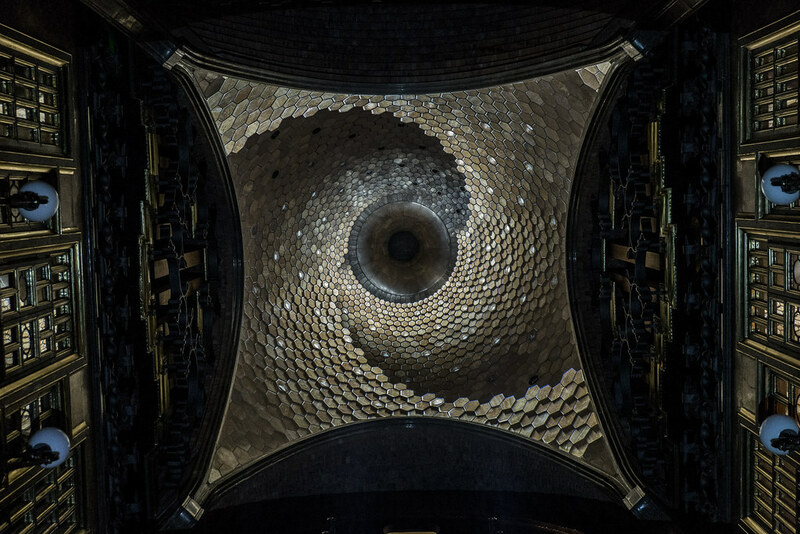 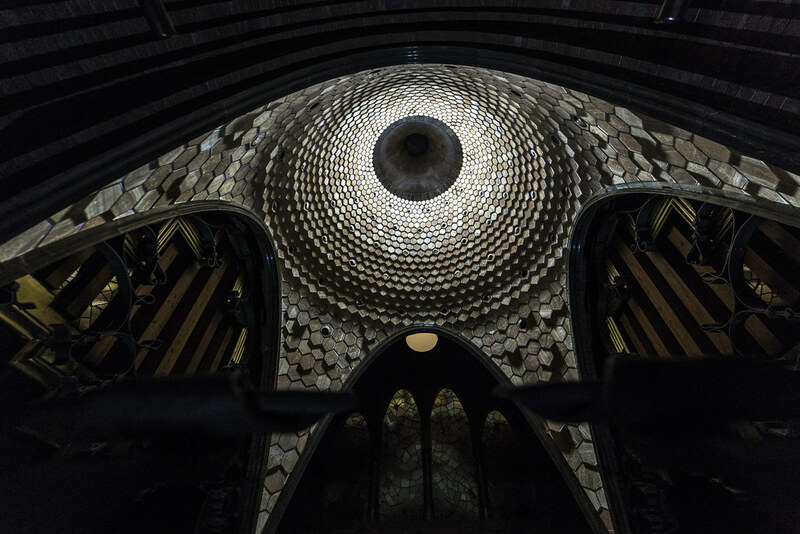 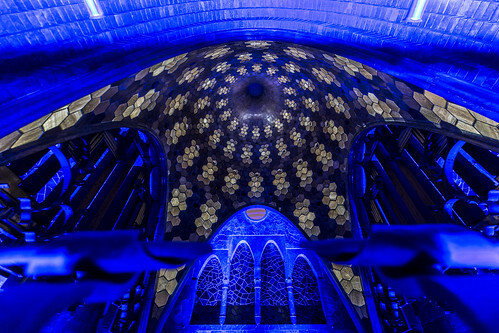 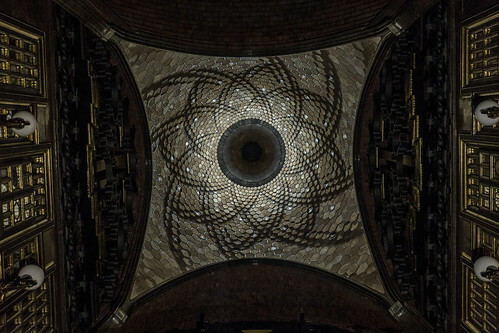 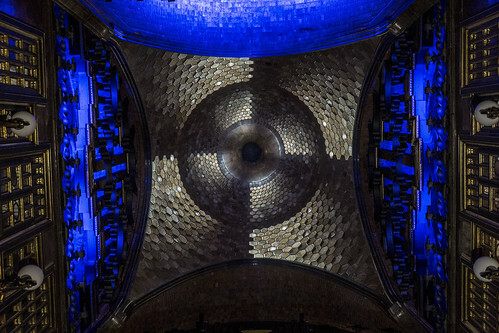 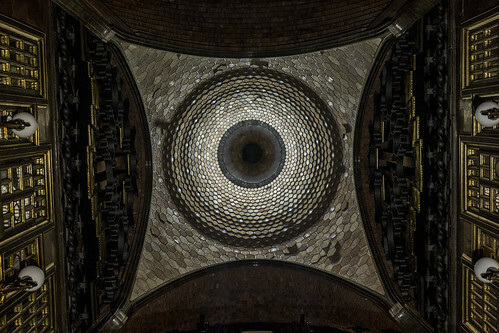 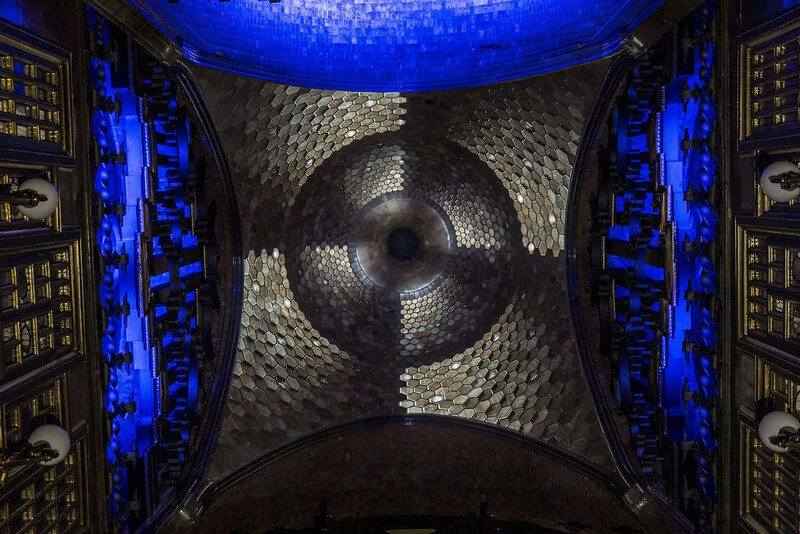 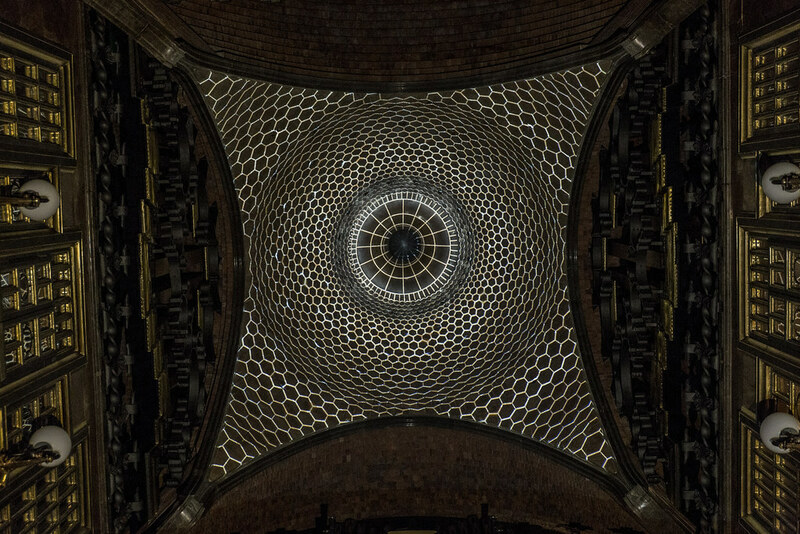 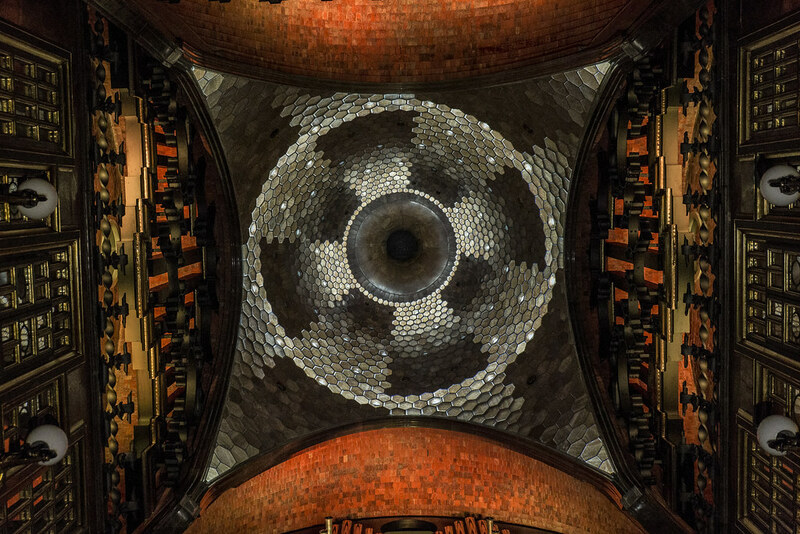 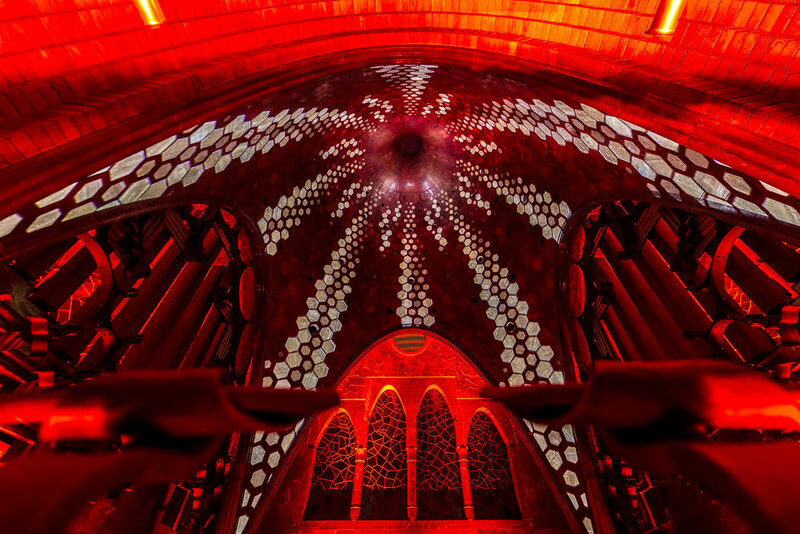 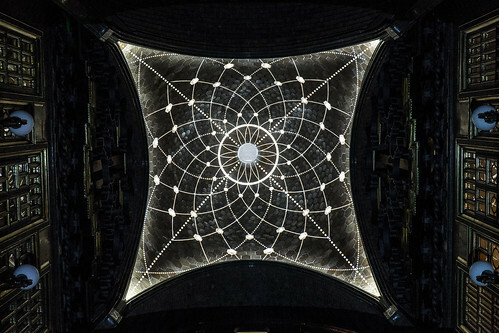 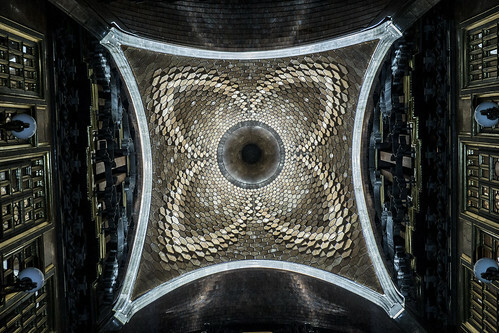 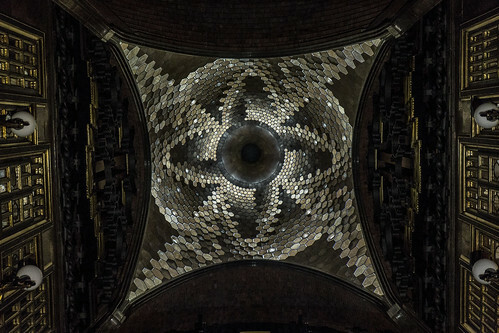 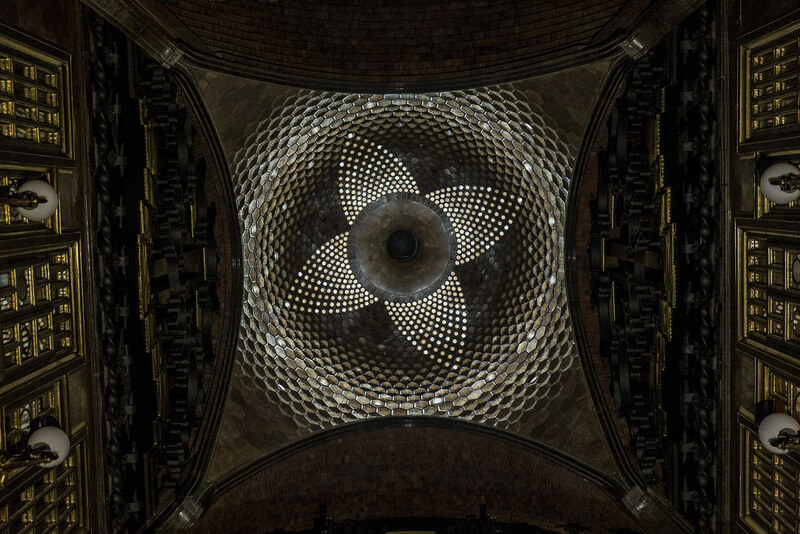 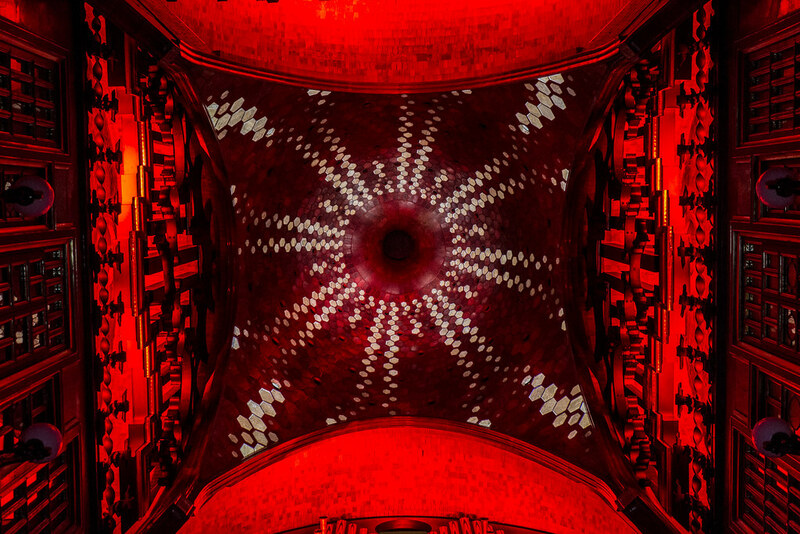 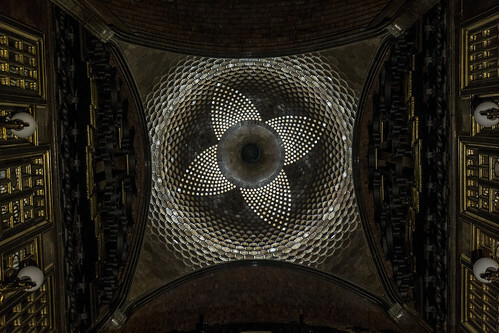 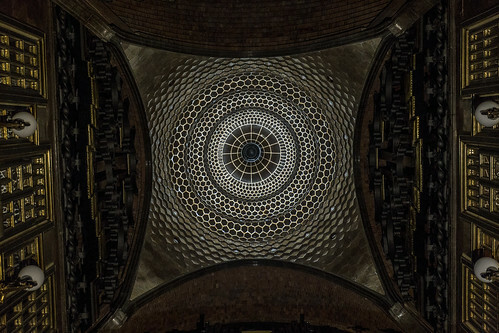 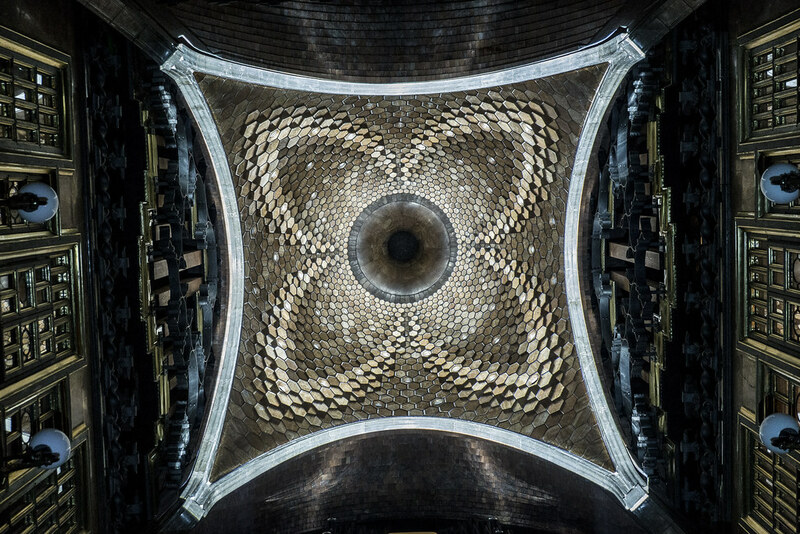 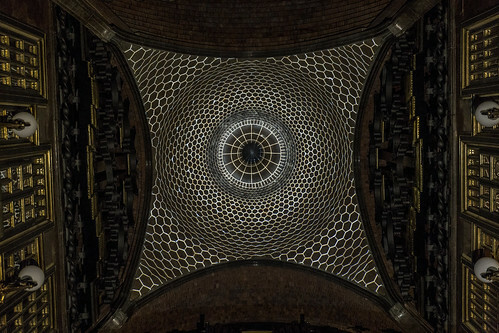 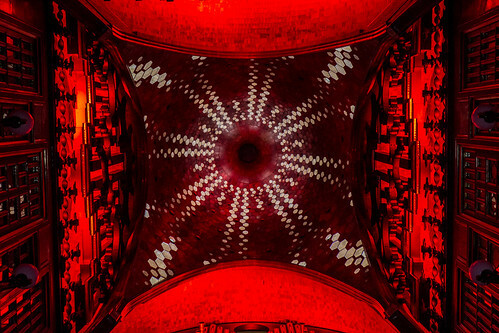 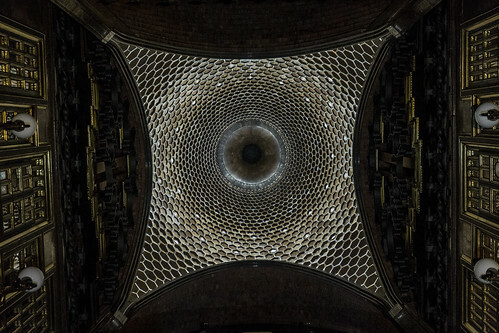 Implemented as an 11 minutes projection mapping of the parabolic dome in the main hall, the soundtrack is performed automatically by a real pipe organ. 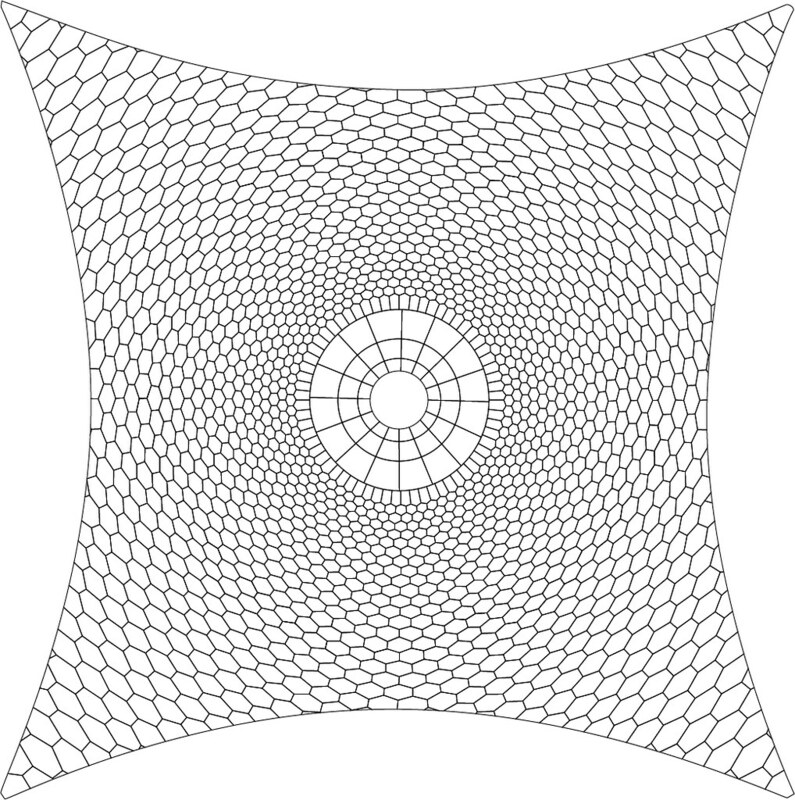 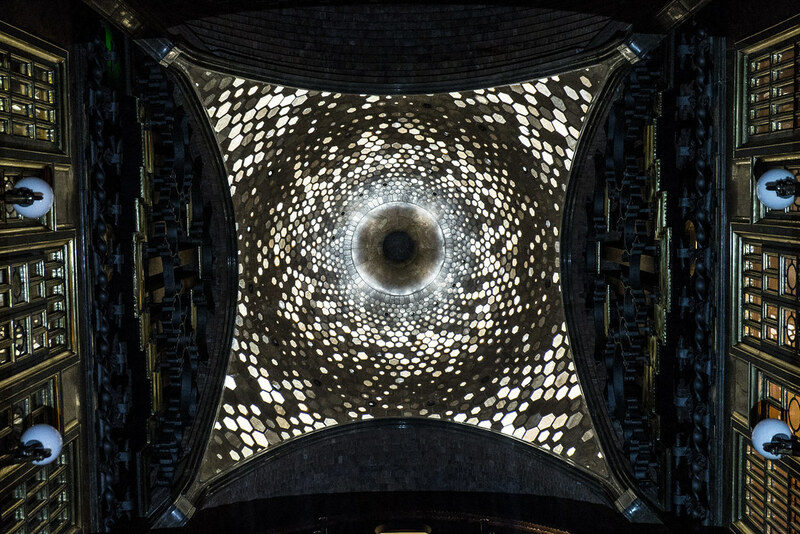 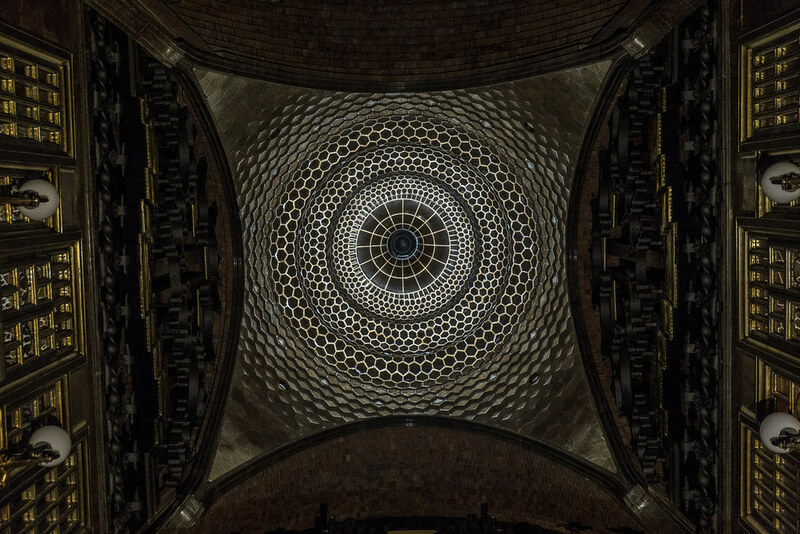 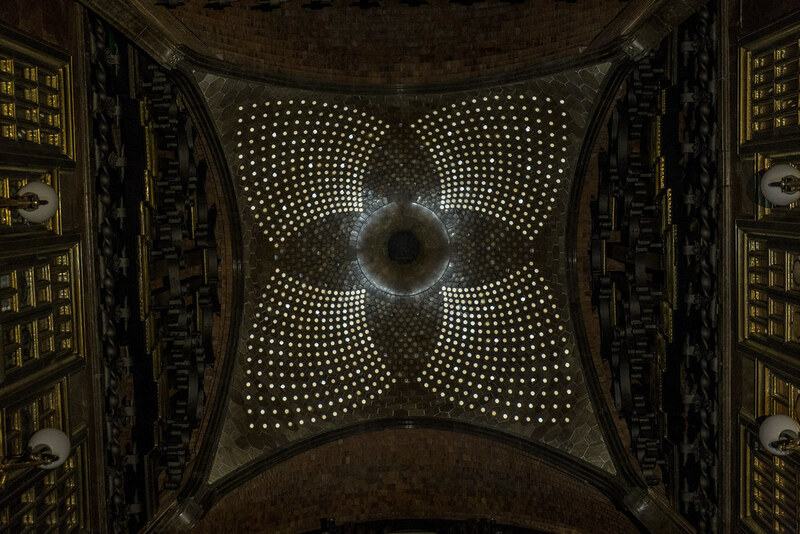 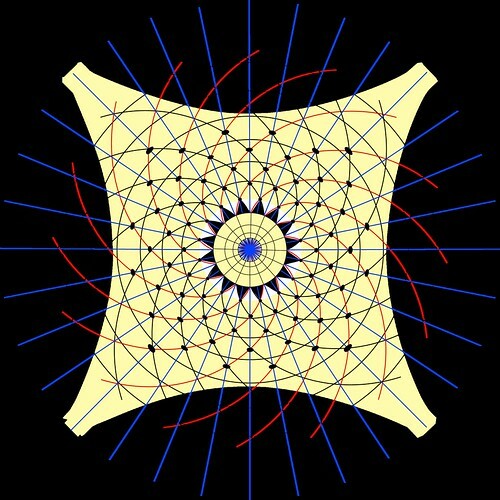 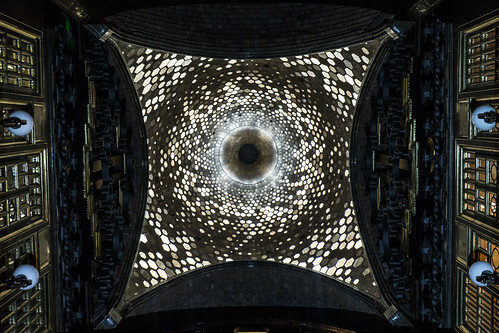 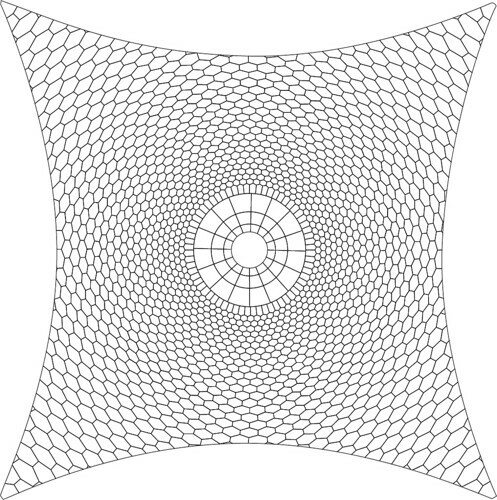 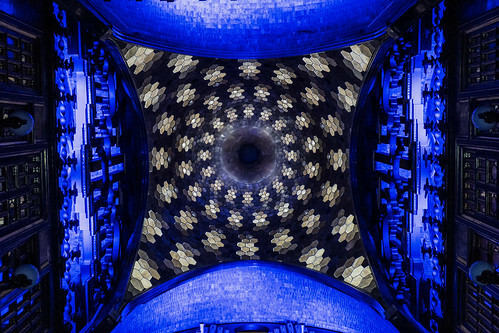 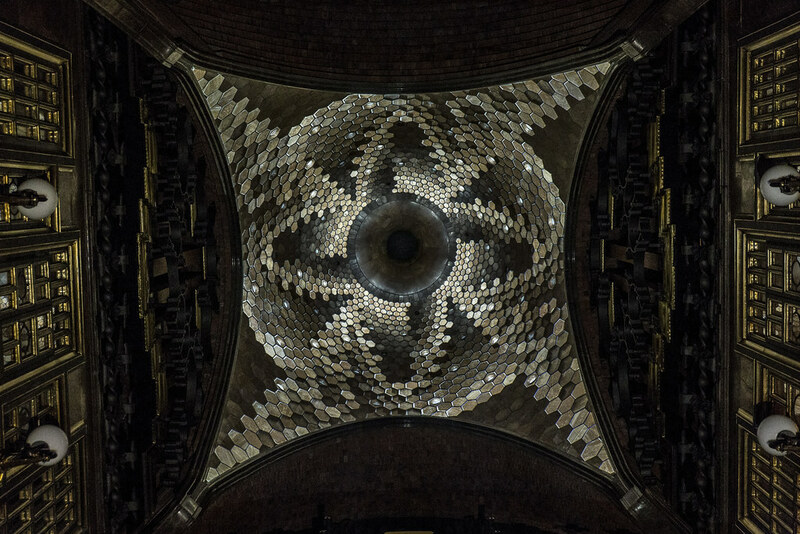 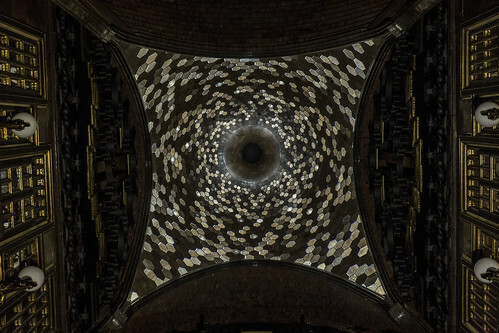 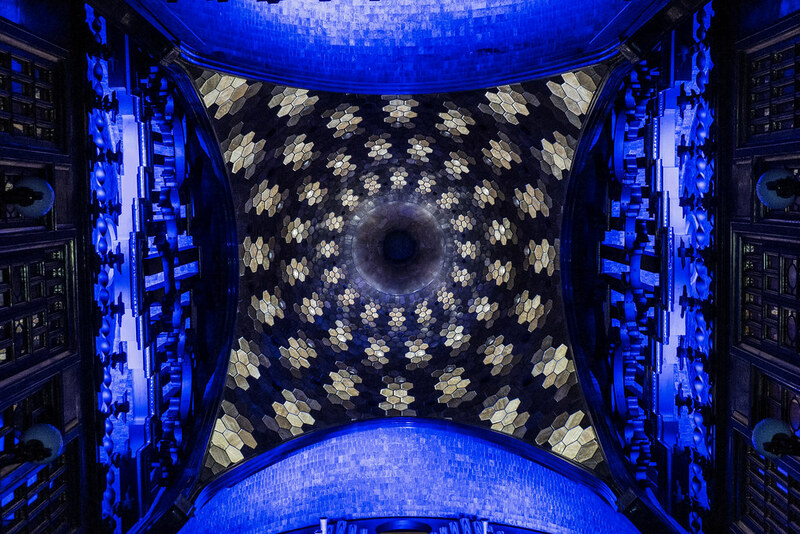 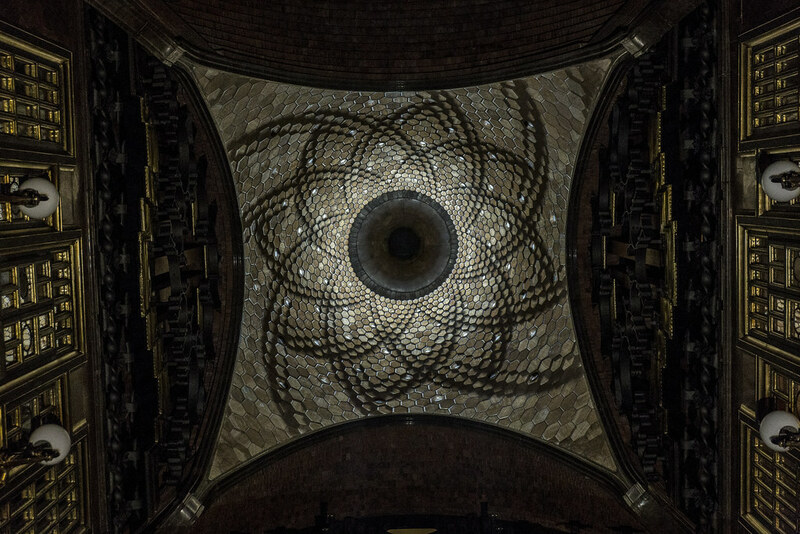 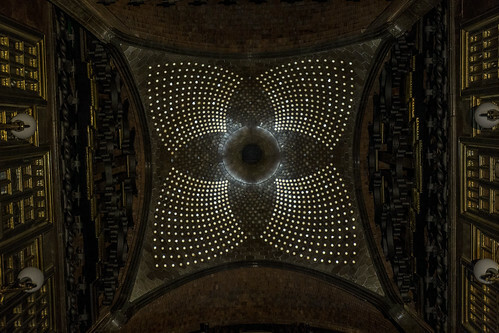 The inspiration for the visual aspects of the installation come from a detailed analysis of the dome’s geometry. 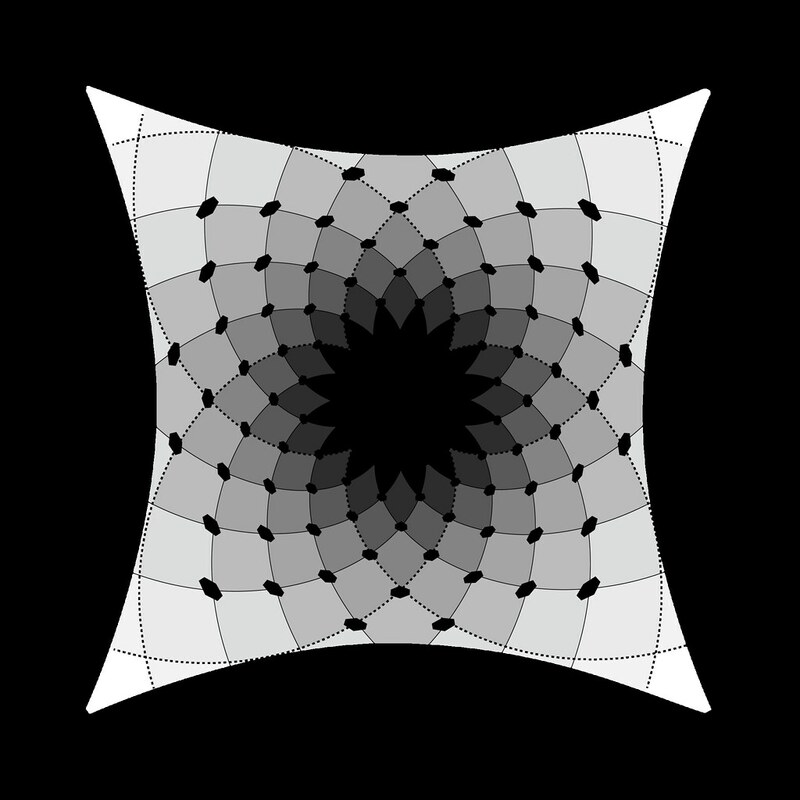 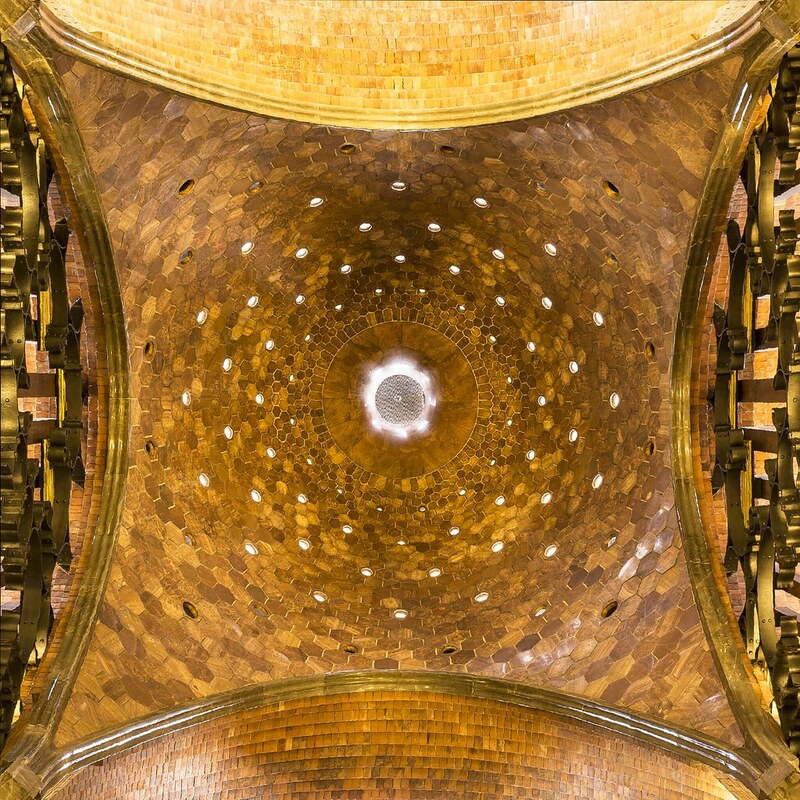 By analyzing Gaudi’s work we discovered that he was using a very mathematical yet organic strategy to tessellate an hexagonal tiling, which was giving as a result an infinity of implicit natural forms. 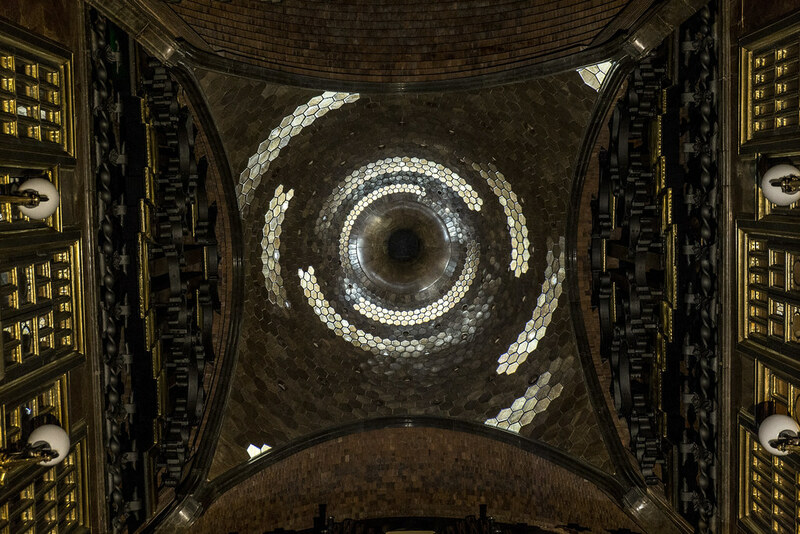 Our approach was to make visible all this hidden structures. 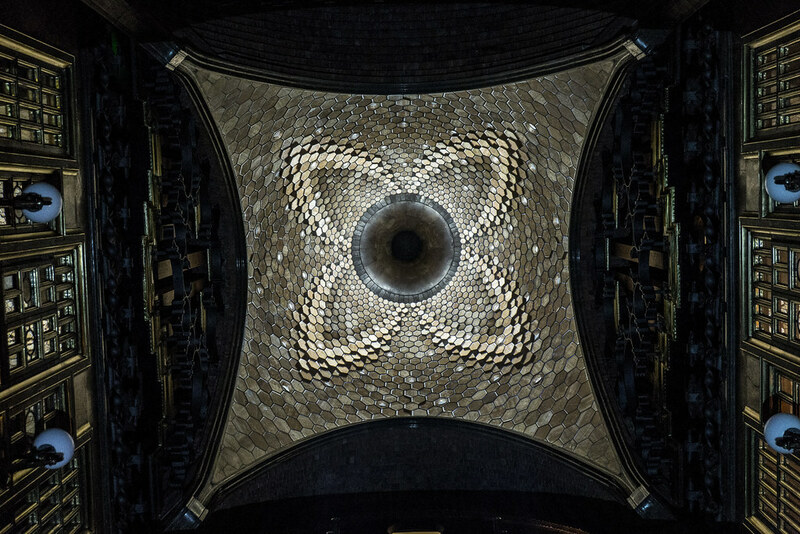 Using the hexagons of the tiling as a pixel unit, a sequence of scenes is deployed which explore this emerging organic forms. 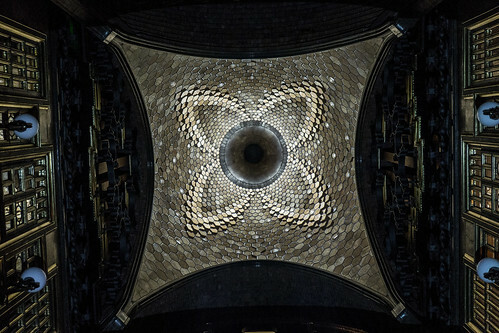 To make this visual approach possible, we developed a software application that fit pixels into this hexagonal tiling. 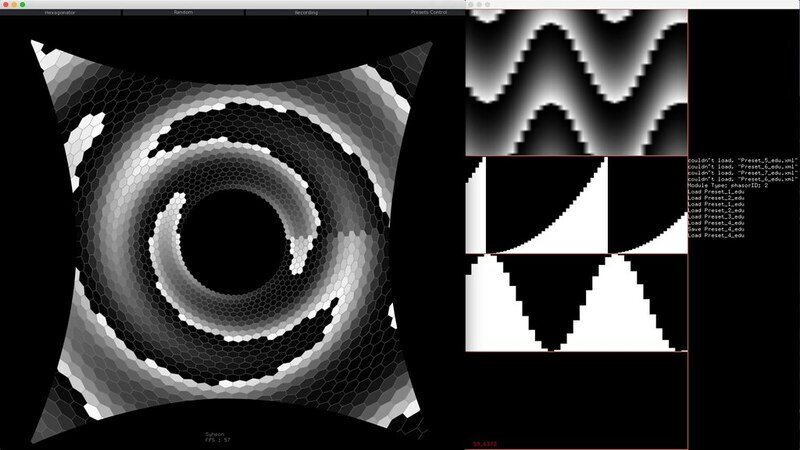 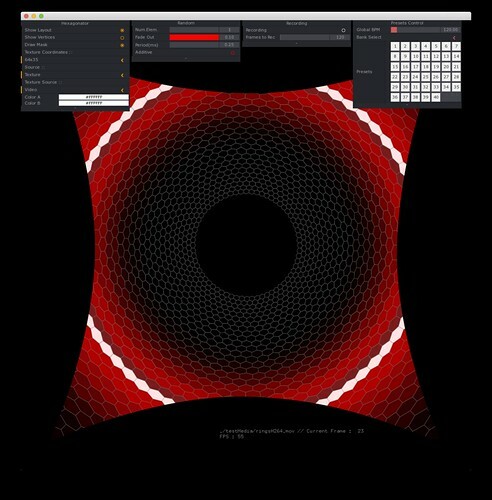 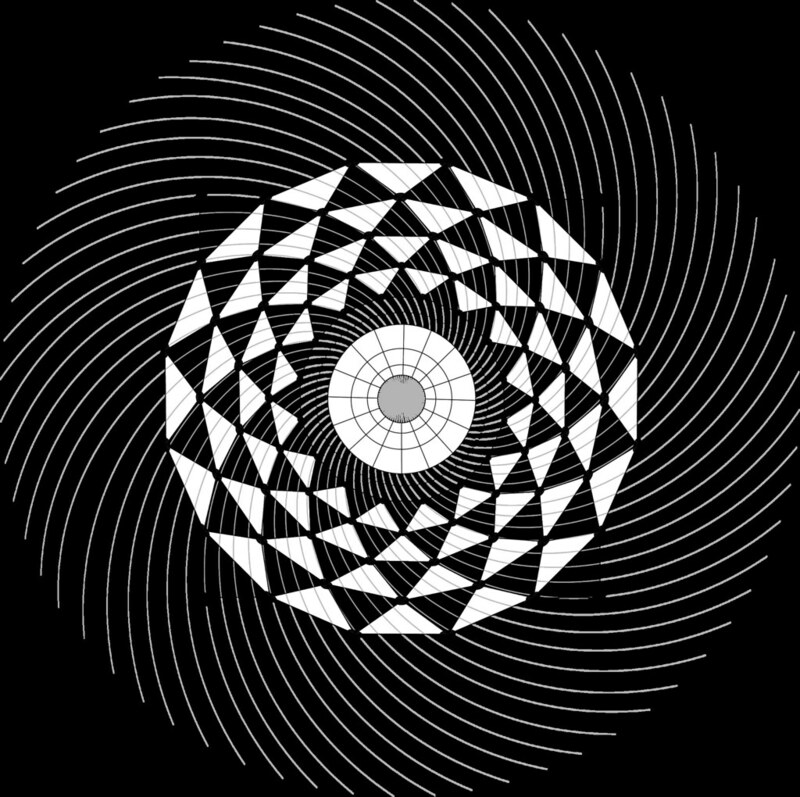 At the same time, we also used our generative graphics software to create dynamic contents based on oscillator banks, searching for the hidden natural forms on the dome through waveforms, mathematics and geometry. 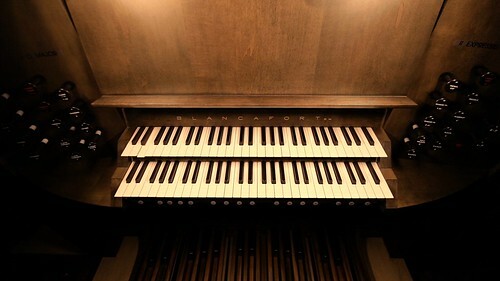 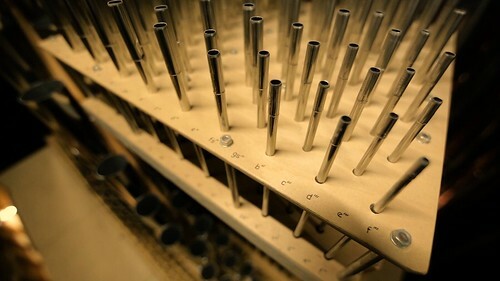 In order to create the music, we collaborated with the organ builder Albert Blancafort (http://www.orguesblancafort.com), as the organ had to be “hacked” to allow MIDI automation. 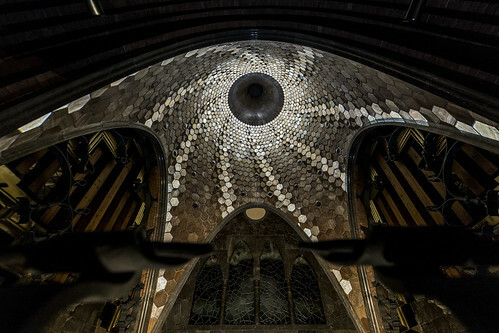 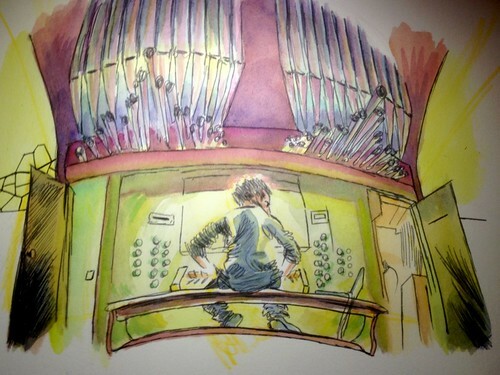 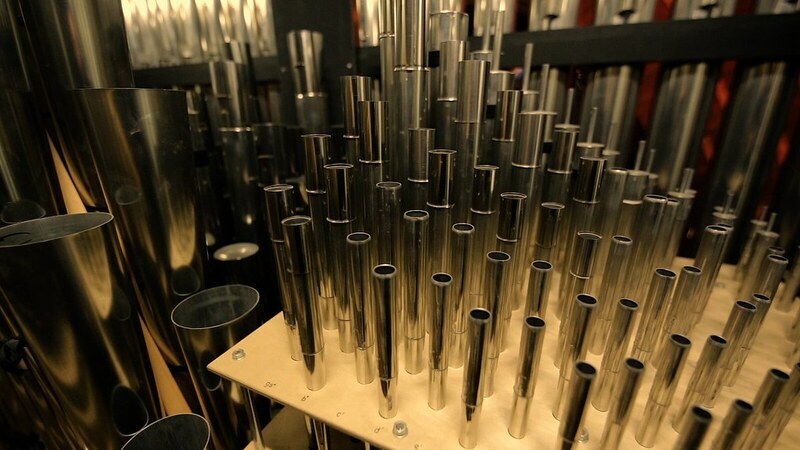 Once this done, we had to learn how organ music works, so we spent many nights playing the instrument at Palau Güell. 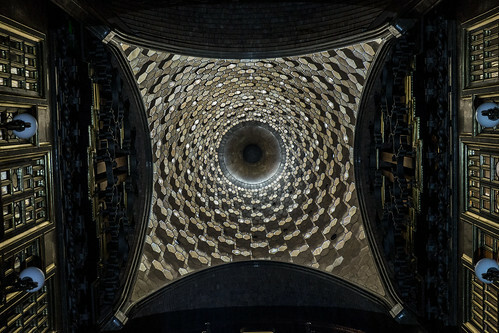 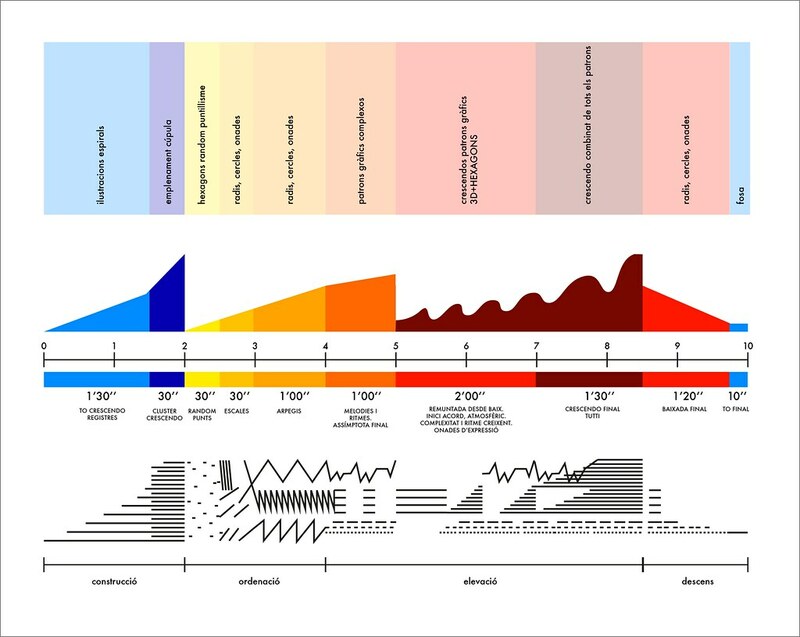 We wanted to create an evoquing yet contemporary music piece which could relate seamlessly both with the visual side of the project as well as with the architecture. 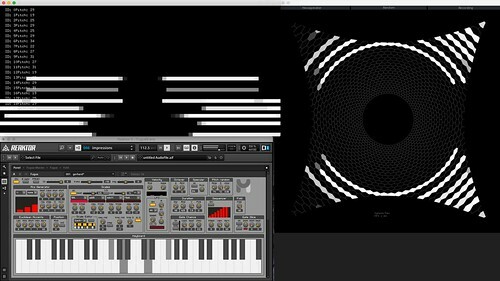 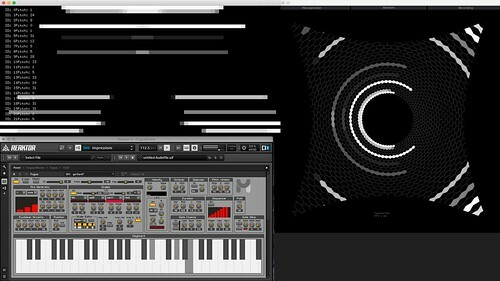 To make this musical approach possible, we developed several algorithmic composition applications which allowed us to transform the projection mapping images into MIDI notes, hexagon by hexagon; an application that made the opposite: read MIDI notes and transform them into pixels in the hexagonal tiling canvas; and a full music studio to create algorithmic melodies, rhythms and arpeggios based on tight harmonic rules and weighted probabilities.